Who Is Gospel Singer Shirley Caesar on Little Big Shots: Forever Young? 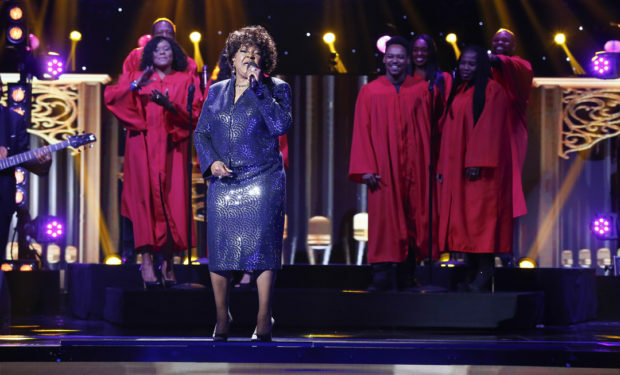 Who Is Gospel Singer Shirley Caesar on ‘Little Big Shots: Forever Young’? On the season premiere of Little Big Shots: Forever Young, host Steve Harvey will welcome a number of talented senior citizens on stage. Get ready to watch an 80-year-old tap dance and another perform a gymnastics routine like she’s in her twenties. Providing inspiration and encouragement will be America’s Favorite nonagenarian actress Betty White (95!) and 78-year-old gospel singer Shirley Caesar. Caesar, who’s known as the “First Lady of Gospel Music,” has won 11 Grammy Awards. She got her start in the music industry as a teenager singing with the popular gospel group of the time, The Caravans. In the Sixties she pursued a solo career and has since produced 24 albums. Her latest (2016) is Fill This House. Little Big Shots: Forever Young airs Wednesdays at 8pm on NBC.